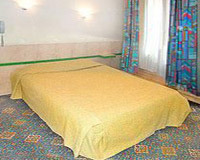 Hotel Jarry Confort, Paris, France. Hotel Jarry is ideally situated in the very heart of Paris, in a vibrant district easily within reach of the Gare de l'Est railway station as well as close to the Grands Boulevards. Each guestroom of this is well equipped with a variety of amenities such as WiFi access, television with Canal+, a telephone and an in-room safe. In addition, guests can enjoy a continental breakfast from 7 am - 11 am in the breakfast room. Furthermore, there are a number of on-site features including a bar, bicycle rental a friendly 24-hour reception ensuring that each and every guest of Hotel Jarry Confort enjoys a pleasant stay in the French capital.